It’s clear a few weeks before the start of AUTOMATICA, which will take place in Munich from June 3 to 6: the range of robot offers and complete solutions for metalworking has never been as comprehensive as today. The exhibitors at the leading world trade fair have the right solution on hand for practically every application. The two big topics are: automation of machine tools and special robots for metalworking. While robots handle loading and unloading machine tools as well as upstream and downstream work steps in the first case, large six-axis robots take charge of milling cutters and operate as machine tools in the second case. Automation of machine tools is trend topic number one. The use of robots increases overall productivity of modern machining centers – one reason for the tremendous growth rates in this sector. Because options for reducing the main times of machining processes have been exhausted, optimizing the auxiliary times is the only possibility, and they can be shortened significantly thanks to the use of robots. Additional benefits are minimizing machine downtimes and semi-automatic operation of machines in shifts without workers. Two solutions are competing in automating machine tools: direct integration of robots into machines and cell concepts, in which complete automation modules including robots can be docked onto machine tools. 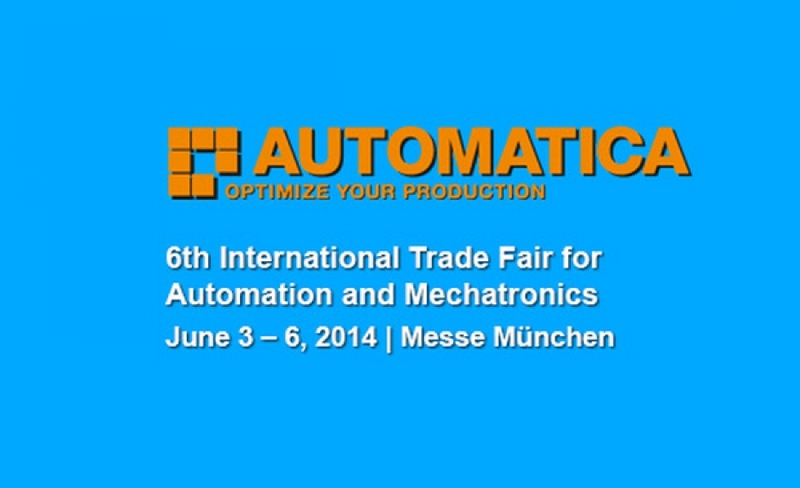 Trade visitors to AUTOMATICA can obtain information about the advantages and disadvantages of both. Many users have had very positive experiences with automation of machine tools in simple applications over the past years. Convinced of the process reliability of these systems, the trend today is going in the direction of highly developed automation solutions, as Manfred Hübschmann, Managing Director of Stäubli Robotics, knows from his own experience: “Robots are taking on increasingly complex work content all the way to complete machining, often equipped with automatic gripper replacement systems. In addition, solutions are increasingly in demand, in which robots not only automate machining centers, but also handle linking of production systems and consequently provide even more autonomy. Thanks to its narrow arm, the Stäubli TX90 can also cope with cramped spaces in machine tools. 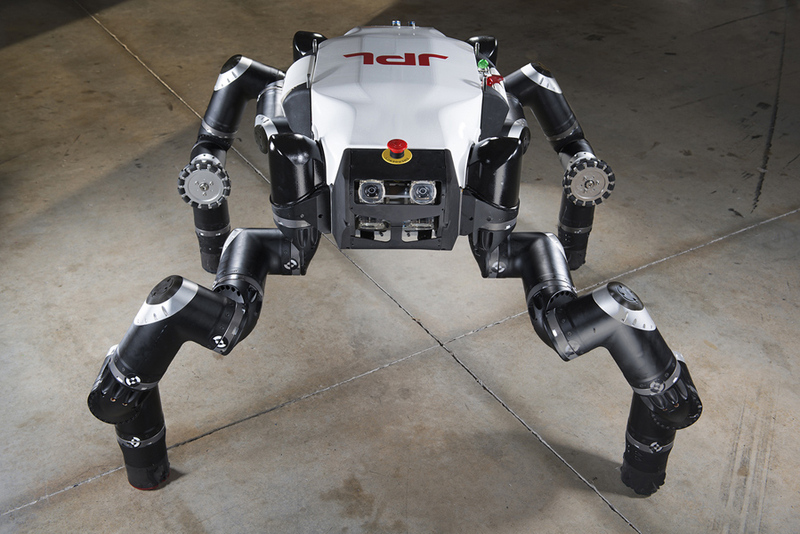 Today, almost all manufacturers offer six-axis robots for typical tasks. But careful: specific conditions of use play a decisive role in the selection of a suitable robot. In addition to a compact design with small footprint, precision and speed, users should pay attention to other features of robots. When six-axis robots work inside a machine tool, they have to withstand the hardest production conditions. The unavoidable contact with chips, sanding dust, cooling lubricants, cutting oils and other corrosive media make life difficult for them. Such requirements limit the range of usable robots considerably. For applications, in which robots are continually exposed to liquid media, additionally protected robots are recommended. Pioneers in this field were the Stäubli six-axis robots in HE design, which were designed specifically for use when exposed to spray water. The wrist joint of this machine has IP 67 protection and can be dipped into liquid media. Kuka is following suit at AUTOMATICA. Waterproof models of the recently started KR Agilus series are available effective immediately. “Thanks to their new waterproof properties, the KR Agilus series functions perfectly in the hardest production conditions and handles loading capacities from six to ten kilograms with ranges of 700, 900 and 1,100 millimeters. Stable stainless steel covers, special surface treatments and numerous gaskets enable unrestricted use of our small precision robot in machine tools,” according to Andreas Schuhbauer, Key Technology Manager at Kuka Roboter GmbH. Andreas Schuhbauer, Key Technology Manager at Kuka Roboter GmbH. Photo: KUKA Waterproof models of the recently started KR Agilus series are available effective immediately. The development departments at ABB, Fanuc, Epson, Yaskawa and other robot manufacturers are also working on this topic, so that additional pioneering innovations can be expected at AUTOMATICA. In this context, not only the manipulators are the focus, but also software tools and open interfaces to the machine tools, which make programming especially easy without the need of special skills. Thanks to progress in control systems, robots can already be programmed via control of the machine tools in many cases. DSC 0395: A Motoman MH50 with double/triple gripper during loading and unloading of a machine tool. trimming, drilling, thread cutting, polishing and the like. Robots for such uses should be especially precise and have a rigid structure to ensure usable machining results. This and additional press information with associated photos are available here. Watch the service robotics film of AUTOMATICA here. Photos of the last trade fair.